DUG Insight User ManualFrequently Asked QuestionsFrequently Asked Questions SEG-YHow do I update restricted, locked, protected trace headers like offset, inline and cmp? Insight is careful to protect the headers that determine the location of a trace. This can be frustrating when trying to correct or reposition data that was loaded incorrectly. One solution is to export the data to SEG-Y and update the trace headers as they are exported. Once exported, reimport the SEG-Y to a new volume with the updated headers. 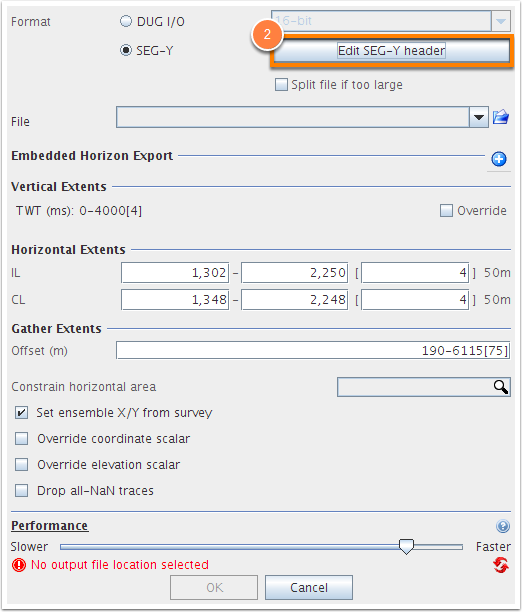 Select SEG-Y as the Format and click the Edit SEG-Y header button. Arbitrary custom headers (deviating from the SEG-Y standard) can also be specified as shown. 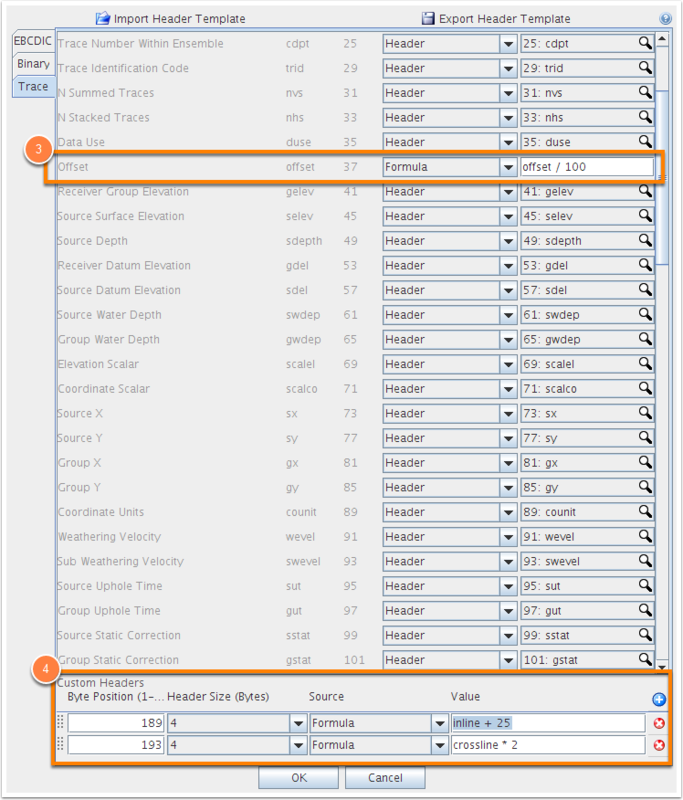 In this case, the inline values will be shifted by 25 and the crossline header values will be doubled. Prev: How do I load multiple stacks or volumes from SEG-Y at the same time?